Village at Main Veterinary Hospital has created Wellness Packages that meet your pet's preventive care needs and your financial needs all in one! Our doctors and staff have designed these wellness packages with you and your pet in mind. Our knowledgeable staff can help you pick the best package for your pet based on your their age, social life, environment and other factors. 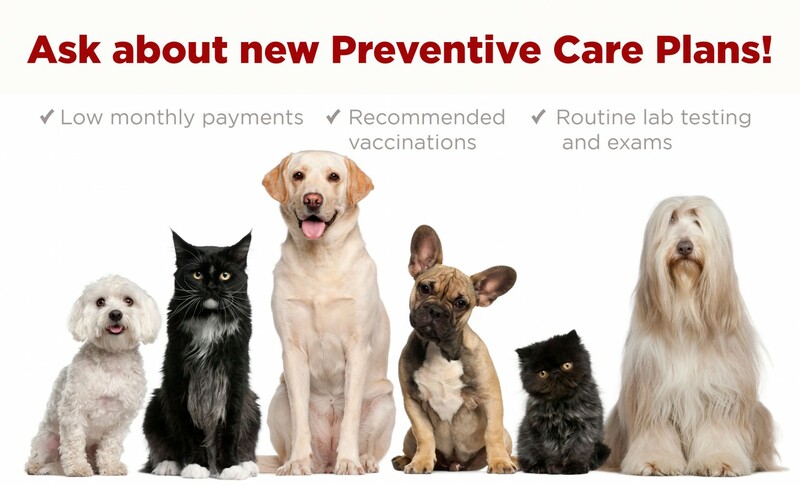 *Not only will these packages cover your pets preventive care needs, but also give you 10% off of all other services and food not already covered in your package. To get your pet started and help you find that perfect package, you can browse our packages on our website or just call or stop by the office.